Trailer for Song for Marion. 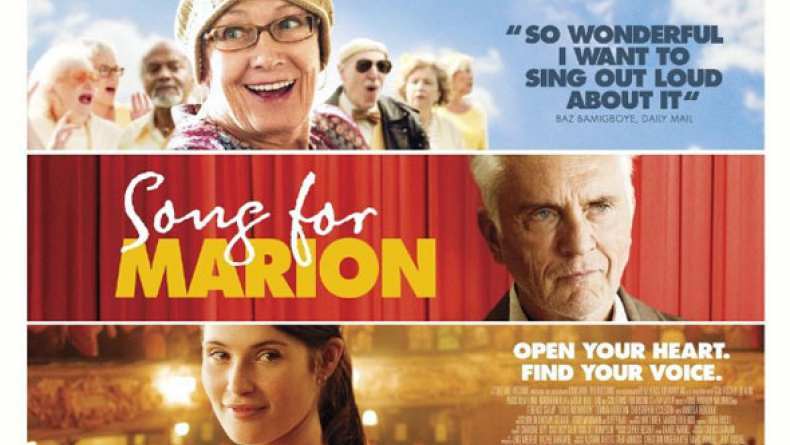 Song for Marion is a London-set comedic drama, about grumpy pensioner Arthur (Stamp) who is reluctantly inspired by his beloved wife Marion (Redgrave) to join a highly unconventional local choir. At odds with his son James (Eccleston) it is left to choir director Elizabeth (Arterton) to try and persuade Arthur that he can learn to embrace life. Arthur must confront the undercurrents of his own grumbling persona as he embarks on a hilarious, life-affirming journey of musical self discovery.